3. Verify what is said to you. If you cannot get a verification, then distance yourself. 4. Do not disparage your fellow man and avoid phrases such as: "such and such apparently stole" or "it is said that such and such committed the murder." 5. Do not obligate your reader to read a bunch of irrelevant things before they begin to understand what it is about. 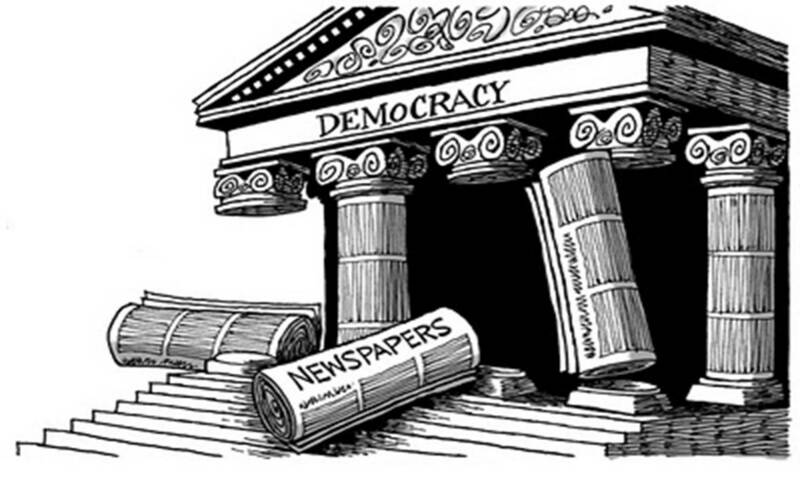 Journalism is a basic principle of democracy when, of course, it does its job correctly. However, it wounds democracy when it is put in the service of various aims, so as to circumvent the human person for interests. And there are many cases of such poor journalism, as journalists themselves have identified. Good journalism is essential especially in religious journalism. When the religious journalist transfers news and information, when analyzing various situations beyond those mentioned, they must stand for integrity, decency, objectivity, seriousness and responsibility. Fortunately for the Church today there is available various journalistic centers with capable journalists who are fighting for the correct information for the people. And, of course, no one can argue that even the good journalists make mistakes, but these errors do not tarnish the image of a person, because they are fighting for truth. One of my recent experiences of religious journalism led me to face a great problem. A group of journalists tried to present ecclesiastical events orientated towards one direction, having a certain aim and sacrificing everything for its realization. You try to have a conversation with them and in the end you repent that you even spoke, or you are even sad that you descended to their level. One observes in such journalistic work that there is great inconsistency, since in one paragraph they support one thing and in another paragraph something else, and there is a certain arrogance and insolence, a self-sufficiency and irony which can be observed in such texts with a schizophrenic attitude, since they accuse one mindset, though the same mentality prevails in them, and generally they distort everything they uphold from the correspondent they judge. I made a psychograph of such a text, which of course I don't want to publish. The fact is that in this text there is not a proposal which does not distort reality, and it is connected with so-called interlaced ecclesiastical and theological interests. The bad news is that such texts come from people who propose "ecclesiastical modernization" and desire to change what has been handed down to us concerning ecclesiastical life. And one wonders: If these are expressions of "ecclesiastical modernization", then is it worthwhile to try it? Eventually these people have set goals, but the methods they use lead to alteration. I think that so-called "ecclesiastical modernization" must also be modernized, since it is put forward in the ecclesiastical mindset of the mystery of the Cross, which is the real constitution of the Church.